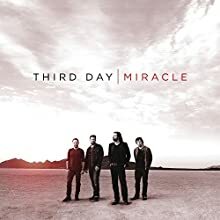 Top tracks: "Hit Me Like a Bomb," "I Need a Miracle," "For the Rest of My Life"
With over seven million albums sold and 27 chart-topping singles, one of Christian music's most enduring acts continues its southern rock stylings and heartfelt lyrics on Miracle. But with producer Brendan O'Brien (Bruce Springsteen, Pearl Jam), they also shake up the formula, switching between layered guitar romps and earthy ballads, plus a rare glimpse of front man Mac Powell's impressive falsetto on "For the Rest of My Life." Lyrically, they're still up front with bold faith, while also addressing brokenness. The end result is likely to be a catalogue treasure.